Landed here courtesy brangan’s sharing your review on his blog and I nodded in agreement through much of your review. 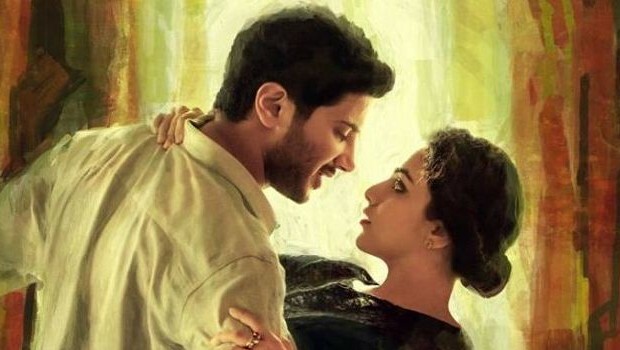 I could not agree more on how disappointing was Mani Ratnam’s generic somewhat boring construct of fun – for it is a construct, a “see how young people today like to enjoy themselves” rather than an actual sense of fun. I came away with a very different reaction, that in fact Mani Ratnam was suggesting that we need to accept change (whether it’s Mouna Ragam’s Divya wanting a divorce, Alaipayuthey’s Shakti eloping or OKK’s Tara living in sin) but as long as we imbue our kids with the “right” values they’ll end up respecting that holiest of Indian cows, marriage. In my mind it was sort of a lose the battle to win the war kind of strategy. I could well be over thinking this – maybe it was simply a feel-good, happily ever after ending that Ratnam wrote as a crowd and box office pleaser. But I don’t think he is the kind of director who panders *so much* to the box office, so I can’t help but feel this reflects his attitudes. If anything sealed it for me, it was that the end credits rolled with animated story of the married couple who pursued their dreams apart but the homing birds and their 2.0 kids lived together happily ever after. Thanks for your notes, Maru. You are right. The ending is certainly a cop out of sorts and I frankly did not expect anything more. I had complained in my review of RAAVAN that Mani compromises his whole film with his endings. I still stick to that, but I do see now that he sees it as a commercial compromise (however true or false that may be). Yeah, that end credit irked. I was irritated enough by such a credits-sequence in the thoroughly pandering QUEEN, but seeing it in a Mani Ratnam movie was surprising. (Off-topic alert) You should really review Indian films more regularly, man! Did you get around to seeing Badlapur, NH10, Detective Byomkesh Bakshy, Court? What did you think of them? I did see BADLAPUR and DBB. I found BADLAPUR hamfisted and overreaching, and DBB structurally simple (indoor-outdoor-indoor/action-exposition-action) but monotonous. Some daring moves in the latter (especially the final exposition), but left me indifferent nonetheless. Oh the final portions of DBB were very strange indeed. Daring, sure, but I don’t know what to make of that. The only time the final sprung to life for me were the minor moments of anachronism. The interesting thing about Dibakar is how fluctuating his graph is. Kashyap was at his peak in his Black Friday-No Smoking days, but it’s been a consistent download spiral since That Girl In Yellow Boots. Ditto for RGV, late 90s/early 2000s versus post-2005. I guess the same can be said about Ratnam too, although I’m yet to see OKK. But Dibakar, he made a decent debut with Khosla, followed it up with the great Oye Lucky, followed by the decent LSD, followed by his weakest Shanghai, followed by his best Star (Bombay Talkies) followed by his new weakest DBB… It’s almost like a sine wave. Very nice and balanced review – as another person said – you should review Indian movies more often. I also agree that Mani did show glimpses of his past brilliance in parts. Regarding your point about “The film’s entire drama is predicated on the dynamic between the couple wherein one of them starts emotionally investing too much in the relationship just when the other is moving away; ” – I saw it a bit differently. It came across to me like Adi was strong and macho on the outside but super soft on the inside and with serious emotional dependence on Tara. I saw Adi struggling to express his inner self – whether or not to have the live in relationship, how much to share / reveal to his elder brother and his wife, how to openly admit his need to marry Tara in the end etc. On the other hand, Tara came across like a confident, mature, and sane adult who was sure about expressing her ideas – whether it was architecture, the live-in relationship element, or her feelings about Adi leaving to the US in the end. Tara was more true to her character and played it with aplomb whilst Adi came across like he was fighting demons in his own mind than anything else. I understand your point. I made that statement because I felt that Adi also had his passages where he feels happier about being non-committed and has no qualms about moving to the US. For instance, at the party scene at the office, he seems genuinely happy about moving to America and starting anew. And the scene where he buys that necklace, as Tara rightly slams him, is also an attempt to kind of provide a closure to this phase of his life. These of course, are the moments where Tara is seen moving closer to him. Of course, they swap roles in other scenes, where Tara seems to be the one clear about the short-lived nature of this relationship while Adi seems to be wanting more. Great review, the final line ,”there is also that residual feeling that the times may have left him behind in some respects.”, perfectly sums up what I feel is the major problem with the film. The movie tries to make acute observations about how some of the current generation view relationships and what they expect from it but seems to be mostly misguided. Maybe the movie would have been better off if it had been told from the perspective of the elderly couple! P.S : curious to know what you thought of the background score, catchy as it was seems to be telling what the scene was before the scene was played! Thanks, S. I didn’t find the score any more problematic than Mani’s earlier films. Yes, I saw a lot of loose stretches being compensated by music.